Indulgent Thredbo Accommodation at the Denman Hotel. Welcome to Thredbo's finest accommodation. Perfectly positioned in the heart of Thredbo Village, the 36-room Denman Hotel is a warm and inviting boutique hotel. 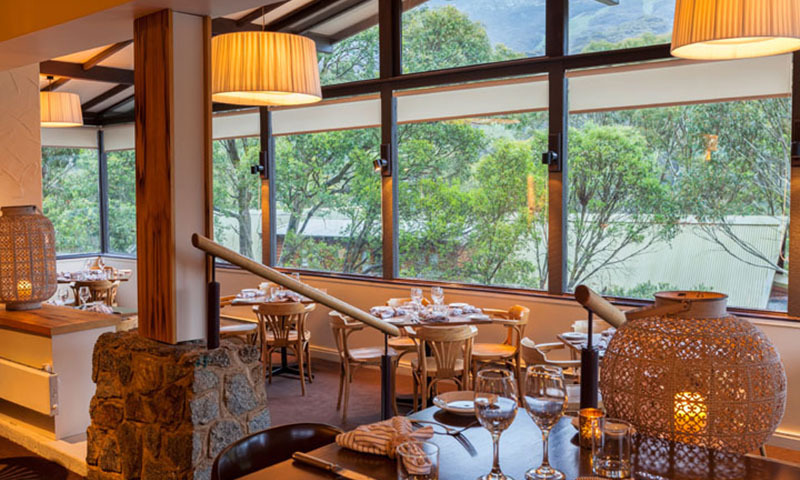 With well-appointed, cosy rooms, the much-loved Terrace restaurant, historic Apres Bar and boasting breathtaking views of the mountain, The Denman Hotel is the ideal retreat designed to allow guests to simply relax and enjoy all that Thredbo has to offer. The Denman Hotel is also an outstanding conference hotel and wedding reception venue. Group bookings, including schools, hobby groups or coach tour groups can also be accommodated outside of the peak season. Whether you're coming for the snow or looking to enjoy the beauty of the mountain and the vast array of activities on offer outside of the ski season, including hiking Mt Kosciuszko, mountain bike riding, fly-fishing or wildlife tours, make The Denman Hotel your choice for your stay in Australia's Snowy Mountains. The Denman Hotel is a member of the 8 Hotels Collection. A deposit of 50% of the total cost of the booking, inclusive of all services (“Total Cost”), must be received at time of bookingsof the reservation being made before a reservation can be confirmed. Failure to do so will result in the reservation being automatically cancelled without notice. Payment of this deposit indicates your acceptance of Thredbo Resort Centre terms and conditions. Final payment of the remaining 50% of the Total Cost must be received no later than 60 days prior to the arrival date (Winter) or 30 days prior to the arrival date (Summer). Failure to make the final payment on time will result in the booking being automatically cancelled without notice. Cancellation fees will be charged in accordance with the Cancellation Conditions set out below. If the date on which the reservation is made or the date on which the deposit is otherwise due, is less than 60 days prior to the arrival date, immediate payment in full of the Total Cost is required at the time of making the reservation unless otherwise notified to you at the time the reservation is made. Payments by personal cheque may be refused at the Thredbo Resort Centre's discretion or must be received no later than 3 weeks prior to the arrival date. 3:00 pm ARRIVAL PROCEDURES Please check in at reception, where the manager will direct you to your rooms. When reception is unattended, please use the phone at the front desk to contact Management. No pets allowed due to National Park restrictions.